We invite you to join our whitewater family! Welcome to Browns Canyon Rafting! We are a personable, guide owned and operated company focused on giving our guests the best experience possible with fun, safety, and quality being our top priorities. 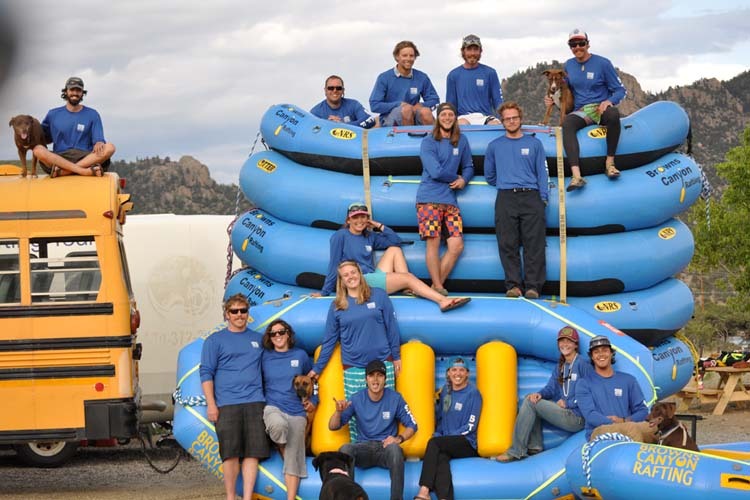 Our professionally trained and knowledgeable guide staff make all the difference here at Browns Canyon Rafting; their dedication to detail and especially to your safety will give you an individualized Colorado white water rafting experience you won’t find anywhere else. Our company offers a wide variety of activities including guided whitewater rafting trips, whitewater ducky (inflatable kayak) trips, scenic float trips, hard shell whitewater kayak lessons and equipment rentals. Although our real passion is in whitewater, we partner with other local businesses to provide our guests with other outdoor activity options such as Zip Lining, Horseback Riding, Mountain Biking, ATV rentals, Scenic Train Rides and the Natural Mineral Hot Spring. Our main outpost is located in the heart of the Rocky Mountains in the historic town of Buena Vista, Colorado where we operate on all sections of the Arkansas River. Sections such as Browns Canyon National Monument, The Numbers, Pine Creek and The Narrows. Our second location in Idaho Springs is just minutes west of Denver, and operates on Clear Creek and surrounding areas. As a family company, we are committed to sharing the best possible outdoor experiences with our guests and always maintaining the highest regard for safety. Our goal is to share our passion for the outdoors by using our years of experience and knowledge to make the wilderness safely accessible and benefit each one of our guests. At Browns Canyon Rafting, you can expect a more personal experience right from the start. We all strive to be attentive to each one of our guests individual needs and expectations. We consider you part of our family and simply wish to share our love of white water and the great outdoors with you. So come join the BCR family! We are NOT a giant rafting company that operates with the “get ’em in & get’ ’em out” corporate mentality, but rather a smaller outfitter with down to earth, easily adaptable and compassionate demeanor. Our personal interaction with each individual guest is what separates us from the rest. We promise to go that extra mile every time. We do what we love, and we love what we do. Here’s to another season of making dreams come true!